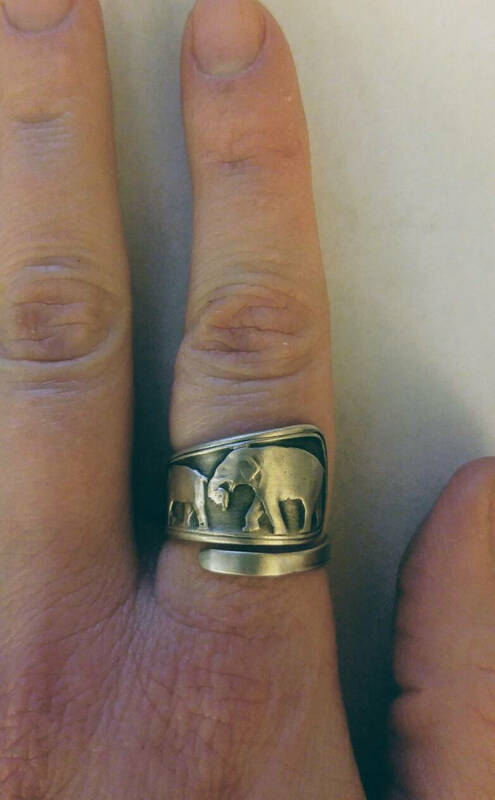 This is a Spoonier Exclusive! 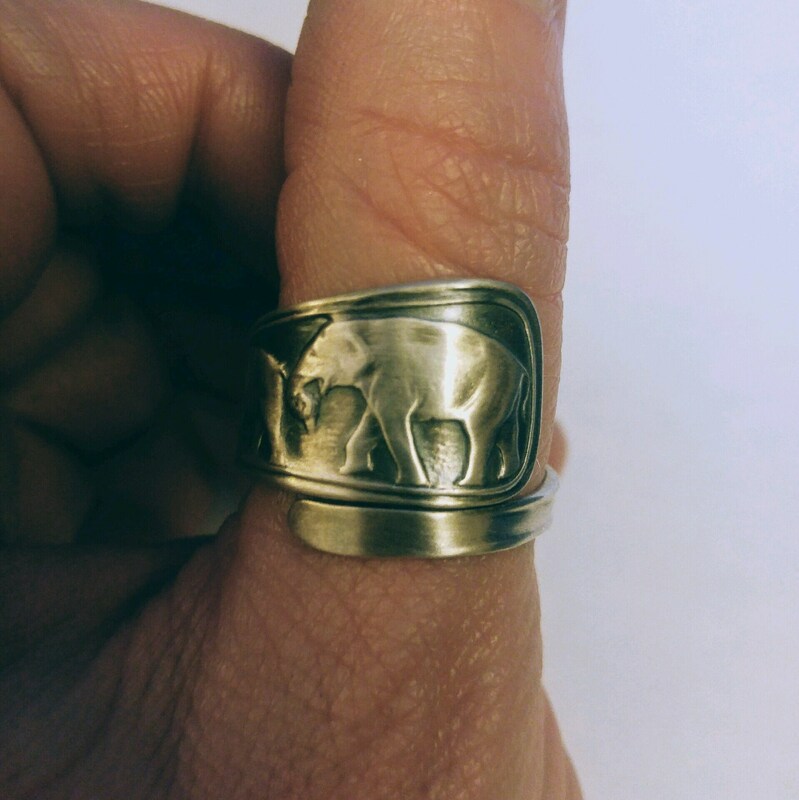 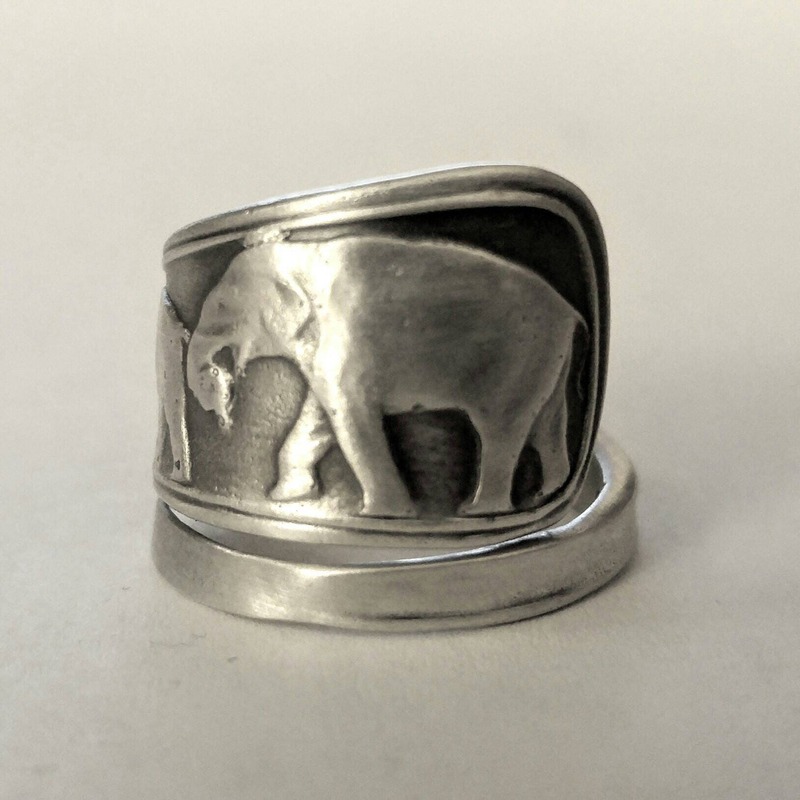 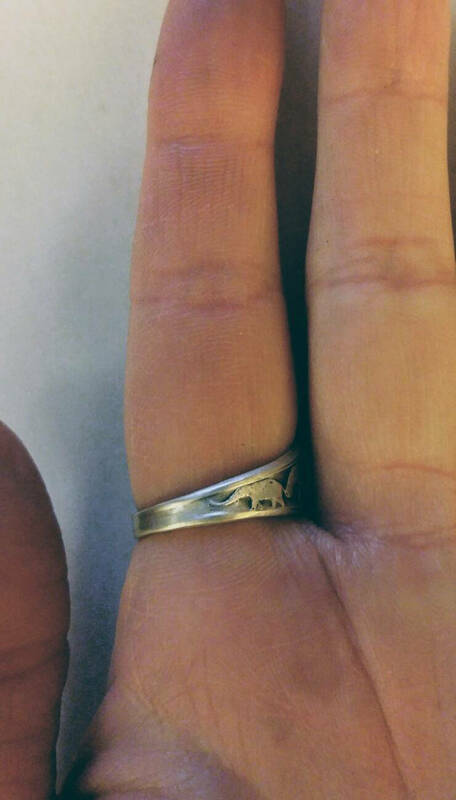 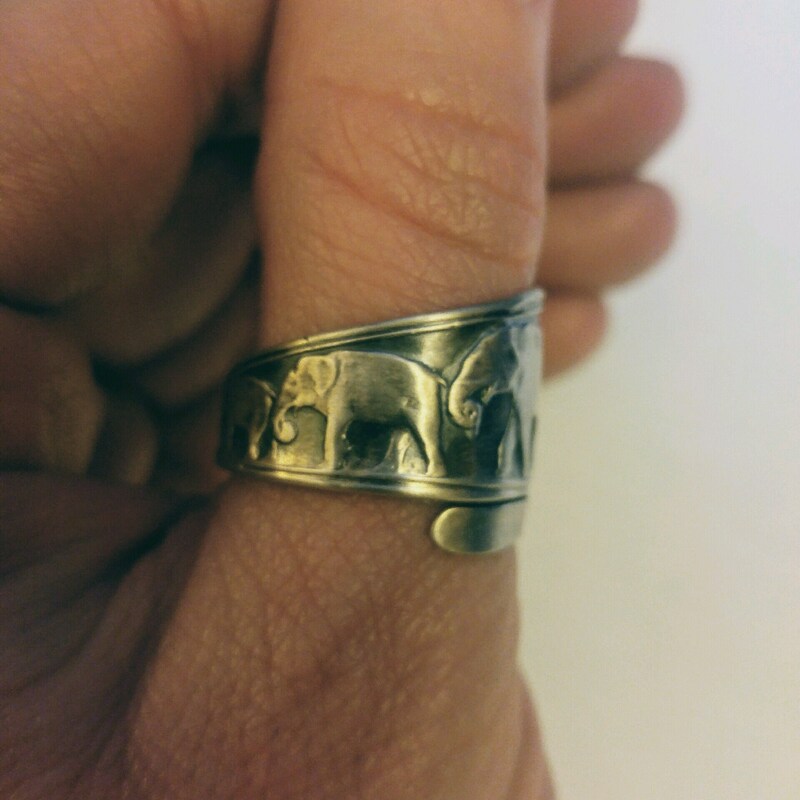 Lovely solid Sterling Silver spoon ring with an Elephant FAMILY!!! 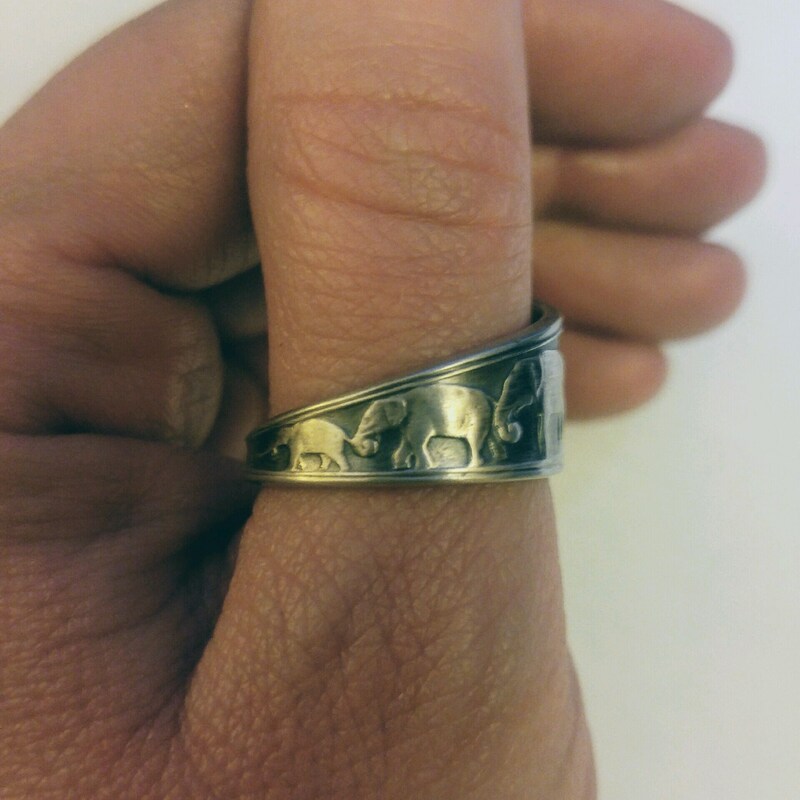 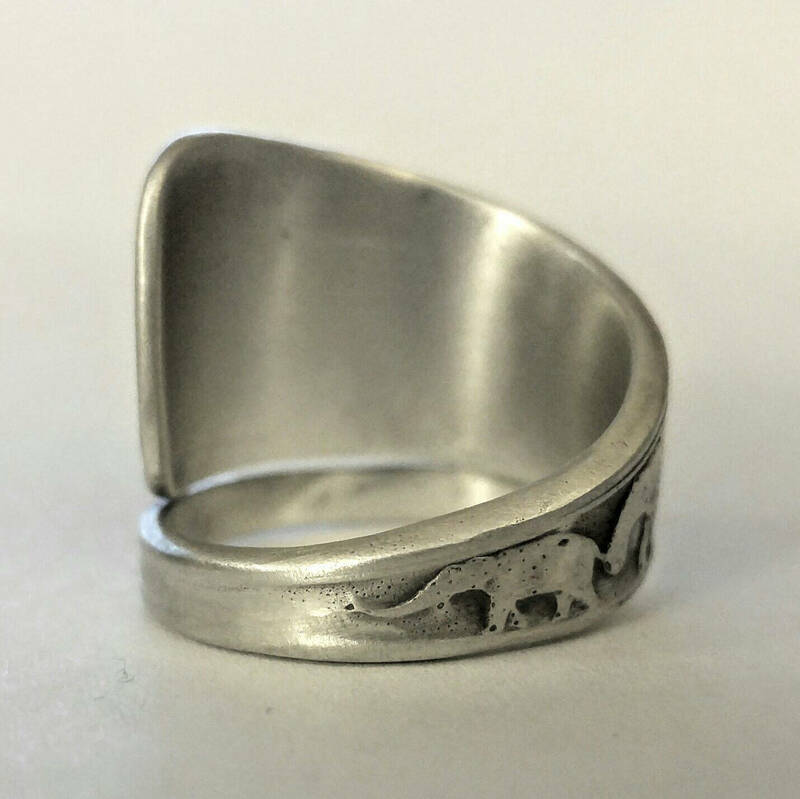 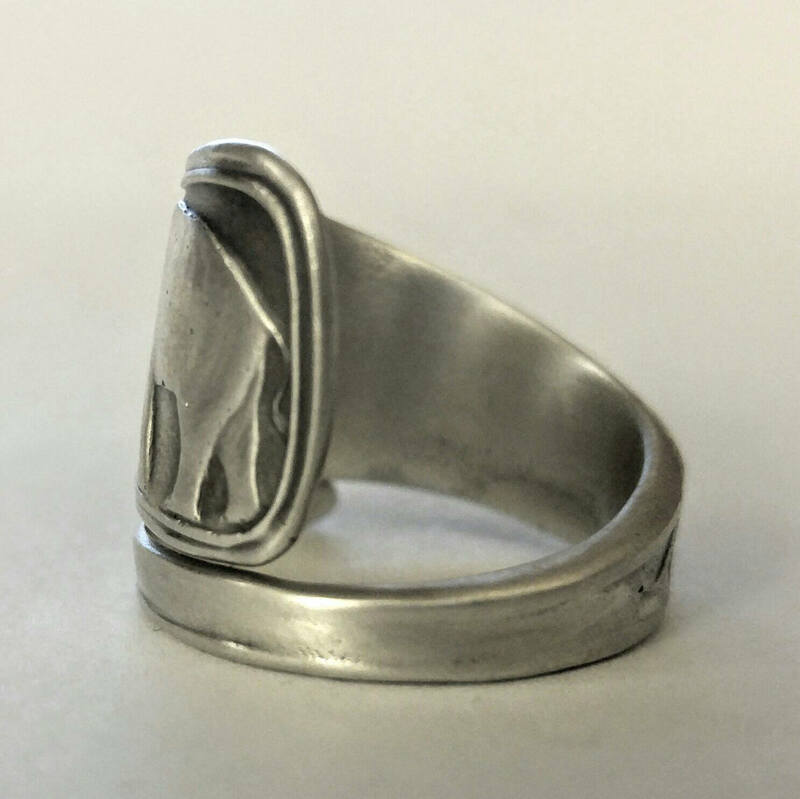 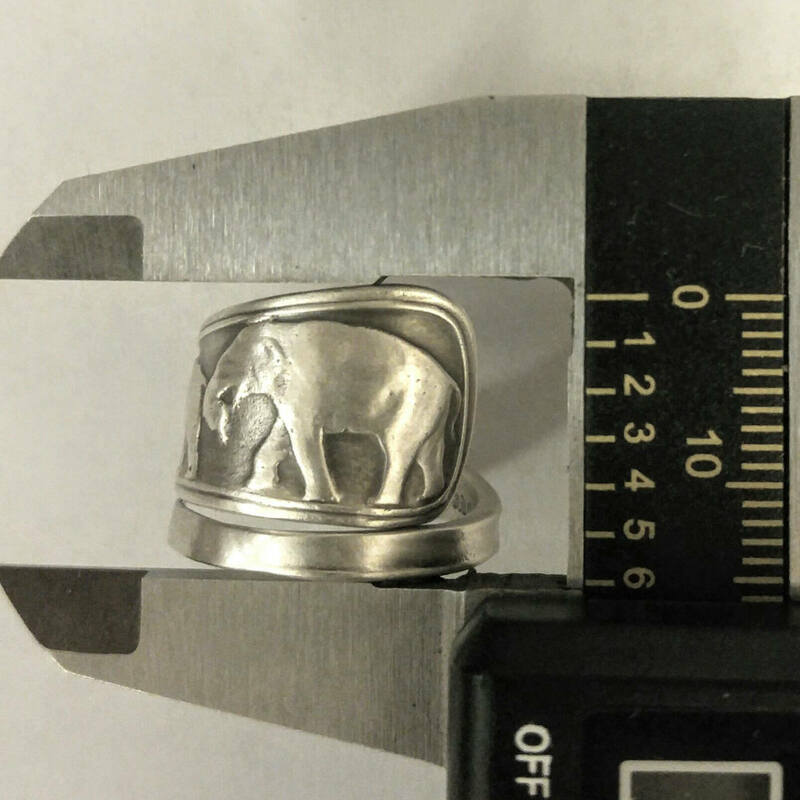 This ring features 4 Elephants, starting with a large elephant and tapering down in size as the pattern goes on and ends with a blank tail. 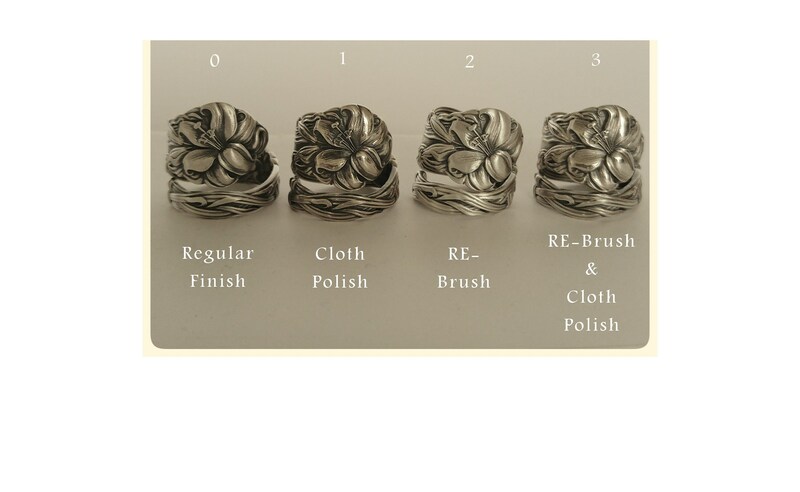 This is a sterling reproduction of an antique British spoon pattern ca 1904.